Carve out a bigger share of your market in Northern Utah with print and digital strategies from Valpak. Learn how our Blue Envelope of coupons can spread your brand’s message from Ogden to Layton and beyond. Talk to the team at Valpak of Northern Utah to learn how we can take your ad dollars further. With Valpak of Northern Utah you can grow your brand awareness through print and digital campaigns. Improve your web presence with a custom built site and a business profile page on valpak.com. As a Google Ads-certified team, we’ll optimize your website and profile pages with keywords hand-picked to draw views and clicks to your company. Valpak also offers pay-per-click advertising for immediate visibility and social media marketing. We’ll find your target demographic online and make it easy for them to find your digital ads. Get proof of performance with our suite of performance tracking tools. These tracking tools are designed to measure the quantity and quality of consumer engagement and arm you with valuable demographic information you can use to convert more customers. Business is booming in Northern Utah. Let us help you seize the opportunity to grow with our mix of print and digital marketing strategies. Reach up to 130,000 households in Ogden, Layton, Logan, Clearfield, Bountiful, Roy and other nearby cities. For specific dates and coverage, contact your Valpak of Northern Utah representative. 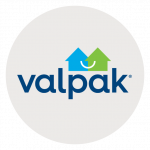 Valpak of Northern Utah is an independently owned Valpak franchise.